Uncontrolled anger can be devastating, but anger management tests can help you assess your risk of losing control, enabling you to take steps to modify your unhealthy reactions and behaviors. The tests can also help you predict potentially dangerous anger episodes in your loved ones, students, employees, or patients. Tests for anger management will help determine if you respond to anger in a healthy way, or if you may benefit from anger management classes. When you answer each question honestly, your score will show what your underlying anger management style is and what impact it has on your emotions and environment. By identifying your likely response to certain situations, the tests can point out areas of concern, thereby helping you develop healthier coping skills. Anger management assessment tools are helpful to individuals, loved ones, human resources departments, schools, doctors, courts, and mental health professionals. If you have difficulty controlling your anger or responding appropriately when faced with stress or conflict, you may benefit from an anger management assessment. The tests are also beneficial for loved ones of those with anger management problems, although they are only accurate when taken honestly and willingly. If you suspect that you or a loved one may need help with anger management, a test can help you determine what, if any, issues are present, and can help you reach out to your doctor or therapist for additional information and advice. Anger management tests are useful when evaluating potential employees. The tests can provide clues into the applicant's ability to handle stressful situations effectively, and they offer insight into the applicant's emotional maturity and methods of resolving conflict. Human resources departments can utilize anger management assessments and training during periodic or annual performance reviews. When taken by current employees, the tests can identify areas of concern, encourage healthy anger management strategies, and improve job performance. When used in school settings, anger management assessments identify children at risk, enabling intervention before damage to home and school life occurs. Schools can distribute anger management questionnaires to the entire student body, or administer the tests to individual students who may be in need of anger management classes. Many courts order anger management evaluations and tests before determining sentencing in criminal cases, during child custody evaluations, and as a part of rehabilitation or probation programs. The courts can use the results of anger tests to identify current issues, prevent potential problems, and focus rehabilitation efforts to prevent repeat criminal activity. While the specific questions on anger management assessment tests vary, most of them attempt to identify the same general emotional and behavioral characteristics that people with anger management difficulties experience. How often do you become angry in a normal day? Do other people comment on your anger? Do you believe you are critical of yourself and others? Do others tell you that you are too critical of yourself and others? Do you tend to blame others for your bad luck or unhappiness? Do you frequently find yourself starting or participating in arguments? Have you damaged property during an angry outburst? Have you ever physically harmed another person during an angry outburst? Has your anger ever caused work or relationship problems? Have you ever been charged with a violent crime? Do you often feel misunderstood, ignored, or disliked? Do you obsess on negative experiences or think about getting revenge on others? Have you ever been involved in an abusive relationship? 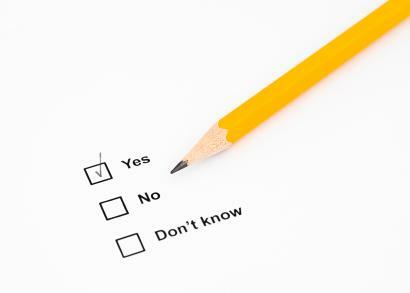 Most people will answer yes to one or two of the above questions at some point in life. If you answer yes to three or more of the above questions, you may have a problem controlling your anger. You can contact your doctor, school guidance department, or a mental health professional to obtain a test for anger management. You also have the option of taking a test online to determine if you or a loved one is at risk of losing control. Learning to control your anger is important, and taking a test is the first step in getting help for your anger management problems. When used as part of a comprehensive anger management evaluation, anger management tests are an important tool for individuals, professionals, and school personnel.